“Our Earth science programs provide many unique space-based observations and research capabilities to the scientific community to inform investigations into climate change, and many NASA scientists are actively involved in these investigations, bringing their expertise to bear on the interpretation of this information. We encourage our scientists to subject these results and interpretations to scrutiny by the scientific community through the peer-review process. After these studies have met the appropriate standards of scientific peer-review, we strongly encourage scientists to communicate these results to the public. Turns out the White House has given NASA the heads-up and they had to tell ESA some, and ESA has no compunction about talking. Ed Weiler tells all about why he left NASA . . . This is partly JWST needing to find pocket change, and partly, presumably, the general onset of austerity and all 'round cuts. The problem is that something almost certainly has to give, and the decision is now being kicked upstairs with obscure guidance. So now, Eli gets to point out all of NASA is divided into three parts, each of which has a varying amount of Gaul, the manned space flight program, the science program and aeronautics. The various centers, Johnson, Goddard, Ames, Dryden, Glen, JPL, Kennedy, Langely, Marshall, Stennis, tend to specialize in one thing or the other but usually have some feet in all three camps (good trick, :). Johnson, of course is mostly about manned space flight, Goddard about science especially Earth stuff, and JPL has the lead in planetary science. Marshall is about building rockets and rocket motors, Stennis about testing them and Kennedy about launching them. Glen is the center for aeronautics propulsion and Ames, Dryden (Ames stepbrother) and Langely, although diverse, could be thought of as aeronautic legacies from NACA. Sometime ago, Eli was of the opinion that the Bushies were going to hack up NASA. In one scenario aeronautics would go to the FAA leaving a rump Confederate Manned Space Exploration Agency centered around Johnson, Kennedy, Marshall and Stennis. Kennedy would be renamed Strom Thurmond Space Center. GISS would be gifted (in the German sense) to Columbia, JPL, well Cal Tech owns it anyhow and Goddard and Langely would have to fend for themselves. Beyond this, the NASA external grant program is absolutely key in many areas of science, including climate, air pollution, planetary sciences, astronomy and more. Administrations have always handled inconvenient programs at NASA by giving the agency something additional to do within the same budget, thus the manned push to Mars, which, intelligently, has been taken off the stove for all practical purposes. But as Steinn has pointed out, the cupboard is bare and the butcher's bill has to be paid. The Johnson Black Knights have thrown down the gauntlet across agency organizational lines, and, at least in public, Adbalati has responded calmly and without bloodshed, but this indeed may not be what is going on at HQ. The problem, of course, is that the manned space flight program has always been the NASA standard bearer, abetted by the rocket jocks who would, in not much of a pinch, have no problem flying bricks rather than payload or people. With the wind down of the Shuttle, and the obvious uselessness of the ISS this may have shifted under their feet. Bunnies will see, but the other constituencies are not standing still either. Eli has an Email from the AGU Planetary Sciences Section and the American Astronomical Society Division for Planetary Science calling for serious lobbying of Congress to reverse "devastating budget cuts". Which brings Rabett Run to a final and interesting point. What is the AGU Atmospheric Sciences Section going to do? What makes this popcorn ready is that the Section President Elect is Peter Webster. Can Webster carry water for Atmospheric Sciences (which does include climate) and at the same time advocate the post modern approach of his colleague, chair and business partner, Judith Curry. Congress is not fond of mixed messages. An interesting straddle and time is short. I'm willing to bet you could get a lot more support from retired nasa employees in favor of climate research just by posting a request here. I doubt if FOX would report it though. or what they call in Hollywood, a wardrobe manager. you know what, that's an excellent point. Eli, get on that. Find 50 retired NASA employees to oppose Walter Cunningham and co. I don't think he's gonna find 50 former employees to embrace the hoax though. "As an agency, NASA does not draw conclusions and issue ‘claims’ about research findings. We support open scientific inquiry and discussion." Is this the money quote because it's a lie? 10 degrees in a few decades? Sure sounds like an activist claim to me! I won't bother posting what John Theon said about James Hansen either, I'm sure Eli has seen it already. Free Translation: if you have done reseearch and have evidence to share, write it up as a paper and submit it to peer review. Otherwise, shut up. I followed your link to "NASA" and found a column from the 1986 Milwaukee Sentinel. WTF is that about? Great article, Mr Rabbett, as always. Dr. Theon appears to have retired from NASA in 1994, some 15 years ago. Until yesterday I had never heard of him (despite working with and for NASA for the last 13 years). His insights into both modelling and publicity appear to date from then, rather than any recent events. 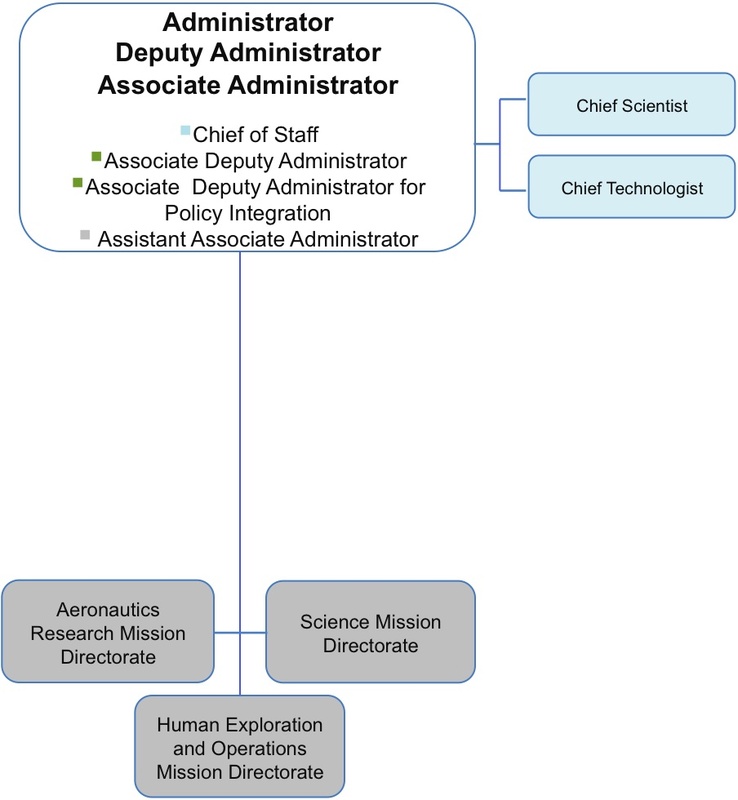 He was not Hansen's 'boss' (the director of GISS reports to the director of GSFC, who reports to the NASA Administrator). His "some scientists" quote is simply a smear - which scientists? where? what did they do? what data? what manipulation? This kind of thing plays well with Inhofe et al because it appears to add something to the 'debate', but in actual fact there is nothing here. Just vague, unsubstantiated accusations." NASA Ames does information/computer science and engineering. Quite well, I dare say. For example, http://ti.arc.nasa.gov/. Nestled in Silicon Valley. NASA Ames: yes, back in my days @ nearby SGI, they were often our lead customers for configurations bigger than on our price list, that we couldn't afford to build, except on their site. They also do some great Sustainability engineering, and anchor the NASA Research Park, which includes branches of several universities, including Carnegie-Mellon, and various startups. The chocolate dipped birdbrain makes a complete fool of himself, yet again. Just one of those things you can always count on. Yes, there are lots of other things going on at Ames, they need a mission after all, but the focus has always been aeronautics. You can say the same thing about the rest of the centers. To add ontological depth to their letter, the JSC crew might seek additional signatures from better retirement homes near Huntsville, Penemunde, and the Grucci Brothers plant . There must be 50 more NASA retirees who believe O-rings like the cold, and with 100 signatures, they could demand that the Administrator strike from the record any and all comments by Richard Feynman. I favor ending the manned space program. A sad and tragic end to NASA. Given the massive boost in real dollar terms, to all US industries, NASA has been, at the forefront of modern technology development. From the creation of powerful modern multicore laptops computers we use today to surf the net. And yet all these devices, were derived from the humble Intel 4004, that was used on the Apollo Lunar Modules in 1969. Them we have the humble NASA electrochemical fuel cell, the next generation unit powers the ultra quiet new German built AIP USneaker 216 class UBoat. NASA, has been both directly and indirectly responsible for many of the current luxuries in life we now take for granted. Perhaps, now is the time for NASA to branch out and take leaf from it's down under Oz cousin, the C.S.I.R.O. . By using all the knowledge gained in the past four decades on the behavior of materials at high/low temperature/high stress/low stress behavior materials, viscous and non viscous liquid flow analysis, non destructive testing and so forth. Thus, many of the under employed NASA Rocket Scientists can work double shifts, as both part time highly paid industry consultants and yet still work their normal day job at the same time. Since many of the current US based industries have high raw material wastages and pollution problems, such as Corporations like Intel, IBM, Monsanto and Dow Chemical Industries. Any reduction and waste minimization, will result in increase profits and be better for the environment too. 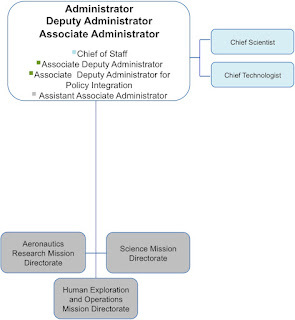 NASA, has the potential to re-think it's mission parameters, provided, the senior management, can think both outside the square and the circle at the same time. If you judge the space program by its scientific output, that is the only sane approach. Unfortunately, I would point out that to the average American and their elected representatives, NASA IS the manned program. The only reason NASA is still alive is that no elected representative wants its fingerprints on the corpse. "From the creation of powerful modern multicore laptops computers we use today to surf the net. And yet all these devices, were derived from the humble Intel 4004, that was used on the Apollo Lunar Modules in 1969." Huh? The computers used in the Apollo series were 16-bit discrete component computers. They were designed by MIT, not Intel. The Intel 4004 was a 4-bit computer (thus all the "4" digits in the name) on a chip, that didn't even exist in 1969. Modern computers owe their life to the military, not NASA, if you want to assign one major impetus. Air Defense, modeling in support of the creation of the hydrogen bomb, decryption, etc etc. Thankyou dhogaza , for correcting my basic error in regard to the Intel 4004, which would have begun initial development approximately seven to five years prior to commercial release, in 1971(one had to build and solve the problems of making a pure refined chip die foundry, masking,cutting, assembly and appropriate volume automated testing equipment first). How ever, I stand corrected, much of the modern technology we enjoy today, was initially derived from, limited and restricted production US military weapons development research funding. The true potential of this technology was not fully realized, until commercial consumer funding was applied. Since NASA, in order to explore the solar system, with both manned and robot probes. The technology and science used in space probes, runs the complete spectrum of materials science. The same technology and materials science, as used to solve those problems of long life deep space probes, can also be used to solve many manufacturing day to day problems encountered, on the production lines of today's military and commercial industry, as well. Now, technology of computers, has moved far from the slow and complex discrete RTL logic 70lb portable computers without graphics display capability of the Apollo era, or the equally heavy S100 MITS/Altair, to the point where $35-00 will buy you a credit card computer called the "RaspberryPi", complete with a built in color graphics controller . The use of this computer called "RaspberryPi", which can be powered from numerous sources such as Solar Cells, is only limited by the end user's imagination. If you want to actually learn something about computing history, visit Computer History Museum, where you can see an Apollo Guidance Computer, developed ~1962. Likewise, you can learn about the 4004, designed by Ted Hoff, Federico Faggin (especially) and Stan Mazor, in response to a 1969 request from Busicom. Federico only joined Intel in 1970, so please forget the nonsense that this effort was started years earlier. Writing totally-wrong things with 100% confidence does not generate credibility. Snow Bunny says: This NASA retiree has been aware of the dangers of adding CO2 to the air since ~1965. The occasion was the first Mariner to Venus, which found that planet to be hotter than an oven: 743F. At first almost all AGU attendees were astonished: how could this be? Then the buzz went around: greenhouse gases. What? Finally I sat in the hall beside an older scientist who knew and explained to me. (if I learned his name, it's long gone). Then he added, "It can happen to earth, too, if we keep burning coal and oil." I was struck with horror. He soothed me, saying, "It's a problem for my grand children's old age. There's plenty of time to do something." Only Americans had central heating and automobiles at that time. I toured Ireland a couple of years later; they had miserable roads and occasionally fired up wads of coal in a fireplace as a concession to U.S. visitors unaccustomed to temperatures in the mid 50s'. Belfast did burn a perceptible amount of coal; the air was sulfurous. Knew of nothing in his life nor did either of us ever hear of non-hurricane or non-snow melt floods from our ancestors. Snow Bunny says: Theon was an experimentalist who likely didn't understand or respect computations. He did carry water for the great Shelby Tilford, who put together the Earth Observing System. One of the goals of this project was to measure climate change. So Theon's present ignorance is kinda strange. I barely encountered the man; I didn't get the impression colleagues who knew him better regarded him as one of NASA's shining lights. "Ooh"-break: ISS low-light camera timelapse footage of Earth at night. The header "NASA 1986 : All Life Extinct In A Few Decades" of the "Real Science" post Cadbury linked to is a gross misrepresentation of what NASA (Robert Watson) said, which is evident if one just reads the text in the newpaper clip below. Lars, "Real Science" is run by the anonymous Stephen Goddard, who historically has never been correct about any single thing he's ever posted about. Just thought I'd point this out to save you time in the future. No need to read Goddard's posts, just assume the opposite of what is claimed is actually true. Steve "Too Dumb To Write For WUWT" Goddard? I'm not surprised. > adding CO2 to the air since ~1965. "The American physicist Gilbert N. Plass has suggested that we may be seeing the last of the ice ages, because the furnaces of civilization are loading the atmosphere with carbon dioxide." "If the current concentration of carbon dioxide in the air should double (from 0.03 per cent of the air to 0.06 per cent) that small change would suffice to raise the earth's over-all temperature by three degrees and would bring about the complete and quick melting of the continental glaciers. If the carbon dioxide dropped to half the present amount, the temperature would drop sufficiently to bring the glaciers down to New York City again." What this also seems to say is that the selection process for astronauts used doesn't seem to be working. Yes, they undergo extremely thorough physical and psychological check-outs, and a crooked wisdom tooth could get you thrown out. And this is how it should be: astronauts are expected to operate autonomously under difficult, unpredictable and very alien circumstances. An emotionally predicated inability to countenance clear evidence should thus be an obvious red flag. So far, the situation hasn't been so acutely dangerous perhaps because astronauts haven't been travelling more than just over one light second from home, to a thoroughly lifeless target; but you don't want one of those as a fellow astronaut on an ecologically self-contained craft on a years-long mission -- or even worse, you don't want aliens to meet these specimens first! Of course the selection process isn't working. It was designed not to. Most of the astronauts have to be drugged up before flying to stop "space sickness" which is a result of their semi-circular canals going nuts. The docs know how to test for this but they are not allowed because it would wash too many test pilots out. (Knowing which way is up is a survival trait for test pilots, but not for astronauts).